The I.B.P.O. 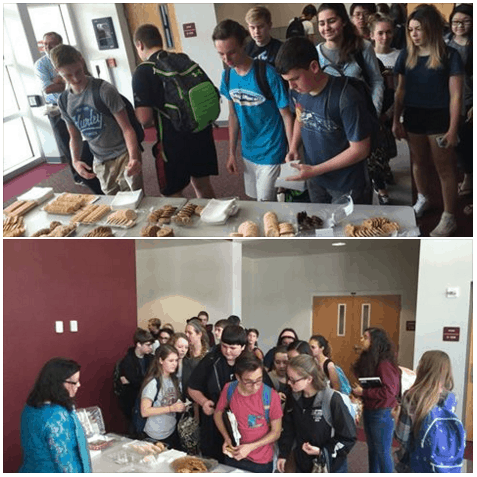 has formed a Sophomore Appreciation Committee to provide treats or refreshments to the Sophomores during their monthly pullouts. During January and February, the pullout topic has been diversity and has included the I.B. Freshmen. Thank you to the parents that donated cookies for the February pullout. Watch your email for donation requests in the coming months. Pullouts are held the first Wednesday of each month for the duration of the school year and we plan to organize something fun for each of the remaining ones. If you are interested in being on the committee, please contact Adrienne Asbury (asburyadrienne@gmail.com).